Could, should Malcolm Turnbull form a new progressive political party? OPINION: There is still great public sentiment and a sense of loss in relation to the knifing of Malcolm Turnbull, despite his disappointing political paralysis on so many issues, writes TESS LAWRENCE. WHO WILL BE PM? Legal experts suggest Peter Dutton could be ineligible under the constitution’s section 44 provision on pecuniary interests. Scott Morrison and Julie Bishop join race for prime ministership. With the Liberals in free fall over the leadership crisis and Peter Dutton admitting he is shaping up for another tilt at Malcolm Turnbull, it was yet another blow to a reeling government. The government has shelved any move to implement the 26% reduction in emissions because it cannot get the numbers to pass legislation in the House of Representatives. OPINION & ANALYSIS: As he tries to deliver on energy and in other key areas, the prime minister's party enemies and critics will be encouraged in their attacks following Saturday's results. The outcomes in Longman and Braddon this weekend are vital for Shorten, who would face very serious leadership instability if he lost both seats. Turnbull claims “Labor should be streets ahead”. The advertisement says: “Why is former banker Malcolm Turnbull so keen to give big business a tax cut instead of properly funding our schools and hospitals? OPINION & ANALYSIS: Brexit is putting greater onus on Australia’s European ties, which will no longer be viewed through London’s prism. This may turn out to be a benefit to Australia of Britain’s Brexit debacle. 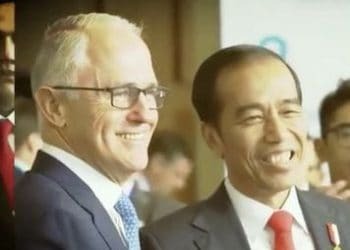 Speaking to reporters in Berlin, Malcolm Turnbull defended refusing for so long to set up a royal commission, although he said commentators were correct in saying that “politically we would have been better off setting one up earlier”. OPINION & ANALYSIS: If Malcolm Turnbull is to draw any comfort from a self-inflicted wound, he might consider the history of leaders who have endured bad polling and prevailed. OPINION & ANALYSIS: Malcolm Turnbull will be relieved to have some time away from the Barnaby Joyce affair while he is in Washington. 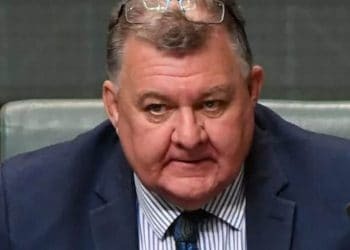 The plunge in relations between the two leaders following the revelation of Joyce's affair with a former staffer is now threatening Coalition unity, with uncertainty about how the situation will play out. Senator George Brandis set to become Australia’s new high commissioner to the United Kingdom following a ministerial reshuffle by Malcolm Turnbull. The Queensland state election result makes the byelection in Bennelong on December 16 even more important. Malcolm Turnbull stressed this would not be an audit – for which there have been widespread calls. Meanwhile, Liberal backbencher John Alexander "believes" his father renounced British citizenship. Bill Shorten says Labor would support a ‘universal disclosure to the parliament’ on citizenship, as crisis continues to unfold. Malcolm Turnbull’s government is now more than two-thirds of the way to the 30 losing Newspolls which Turnbull used in challenging Tony Abbott for leadership. The Australian government is providing minimal detail of those who have so far passed the Americans’ “extreme vetting” and been approved to go, saying it is up to the US to do that. North Korea: who is the historical threat? OPINION & ANALYSIS: For many people, the only reference point for what war with North Korea looks like is the ever-popular 70s television series M*A*S*H.
Immediately after the decision, Prime Minister Malcolm Turnbull told parliament he encouraged every Australian to have their say in the ballot, repeated that he and his wife Lucy would be voting yes, and turned on Bill Shorten. The North Korean statement from a spokesman for the ministry of foreign affairs, reported by the state news agency KCNA, described Malcolm Turnbull’s remarks about ANZUS as “reckless”. Leaked documents reveal details of President Donald Trump's testy phone call with Prime Minister Malcolm Turnbull over "a horrible deal, a disgusting deal" to settle refugees. OPINION & ANALYSIS: Tony Abbott's relentless undermining of Malcolm Turnbull is becoming more than a political embarrassment for his own party, writes TESS LAWRENCE. Former head of the Australian Republican Movement, Prime Minister Malcolm Turnbull danced to a delicate diplomatic tune when he met with Her Majesty in London. Will Malcolm Turnbull offer Tony Abbott the UK High Commissioner role to shut him up? A push is being mounted from within the Liberal Party to get former prime minister Tony Abbott to take the job of High Commissioner to the UK to put an end to his undermining of Malcolm Turnbull. Prime Minister Malcolm Turnbull says there are "very real concerns" for two of the four Aussies known to have been among those directly affected by Saturday's terrorist attack in London. OPINION & ANALYSIS: Does President Trump actually understand how the Aussie Medicare system operates? Does he even remember Malcolm Turnbull's name? OPINION & ANALYSIS: Turnbull, who has had talks with senior administration figures in the past few days, is anxious to get a first-hand feel for Trump. Former PM says Syria conflict is "baddies versus worsies" and US attack is justified.